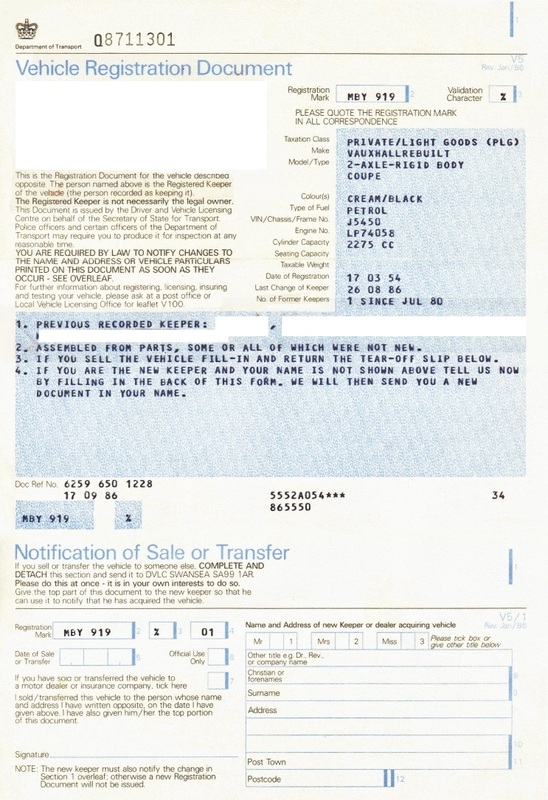 This is the 4th World first for vauxpedia.net and adds a completely new, and until now unseen, chapter to Vauxhalls history and the discovery started with what I mistakenly thought was a fairly mundane email (I get about 40 per day) titled – “can you help”. This normally means somebody needs to know the part number of something or the plug gap for an HA Viva etc. Not that I am complaining, I am always happy to help anybody whenever I can. But this particular email was different, for a start it was from a true Vauxhall enthusiast, Stewart Grant, and included some very interesting photographs of a car that I knew had existed but had never seen any pictures of before. Unfortunately, my observations of the car directly contradicted the historical information the current owner had been given, however after numerous exchanges of emails and a lot of further investigation, including more pictures by Stewart and combined with the knowledge I had of the car I thought it was, then all the pieces fell into place. The pictures in this section have all been supplied by Stewart Grant to whom I am extremely grateful and also for his help with uncovering a truly remarkable lost treasure from the past. There are still some aspects of the story that are not quite complete but I have tried to fill in any missing gaps with reasoned conjecture based on what was happening at Vauxhall at the time. 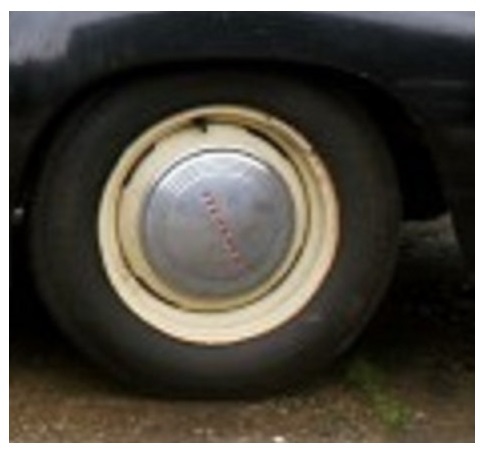 As we already know the first post war Vauxhall models were virtually unchanged from their pre-war counterparts apart from the front grille changing from vertical to horizontal bars & a few minor tweaks to engines, the 10 was quickly dropped, leaving just the Twelve with its engine in the H Ten body and the larger J body Fourteen. 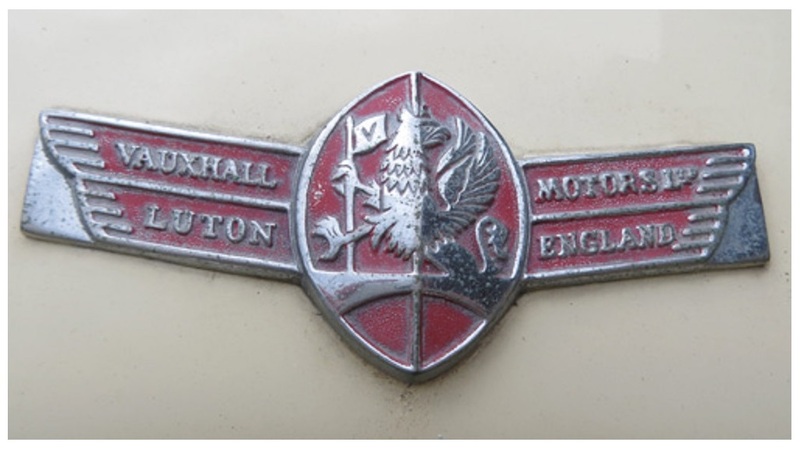 Like most of their competitors, Vauxhalls Design Department started urgently working on new models almost as soon as the war was over with planned launch dates in autumn 1948 when the first post war motor shows were scheduled to take place in London and Paris. During the war years David Jones had been kept abreast of advances in US car design and had already devised a clever, and more importantly quick, facelift for the 4 cylinder Twelve which gave the car a “new” look without the huge costs & time involved in changing the basic panels or structure. The overall effect was like a miniature 1948 Chevrolet Fleetline – sort of! The centre section of the car was almost unchanged, the drawback was that the car remained very narrow compared to some of the competitor launches. The car could have been launched earlier as most of the design work was done within 6 months, wartime urgency still prevailed at Luton! The result of this was during the early part of 1948 the Design Department didn’t really have a great deal to do. Preliminary drawings were being for what would eventually become the E Type and also thought was being given to a new Bedford van, which would end up as the CA, and also replacement trucks, but David Jones team had the rare opportunity and time to dream of more exotic ideas. 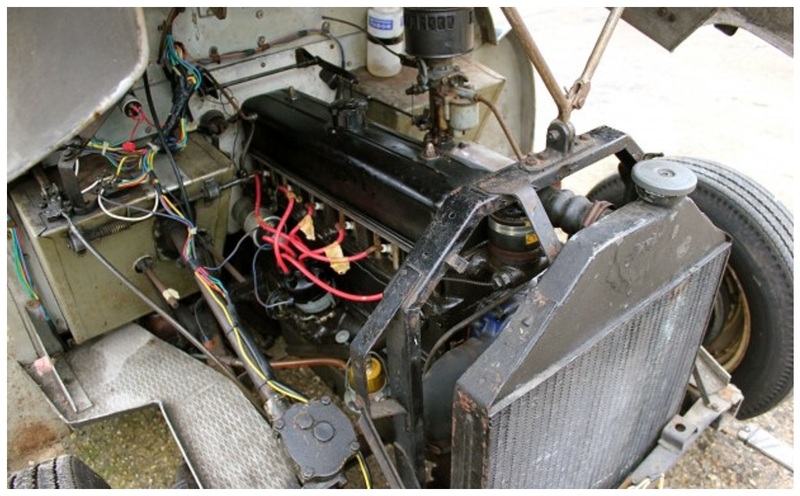 A catalyst for this may have been the experimental 6 cylinder engines that Maurice Platt’s engineers were working on for the new L Type Velox. 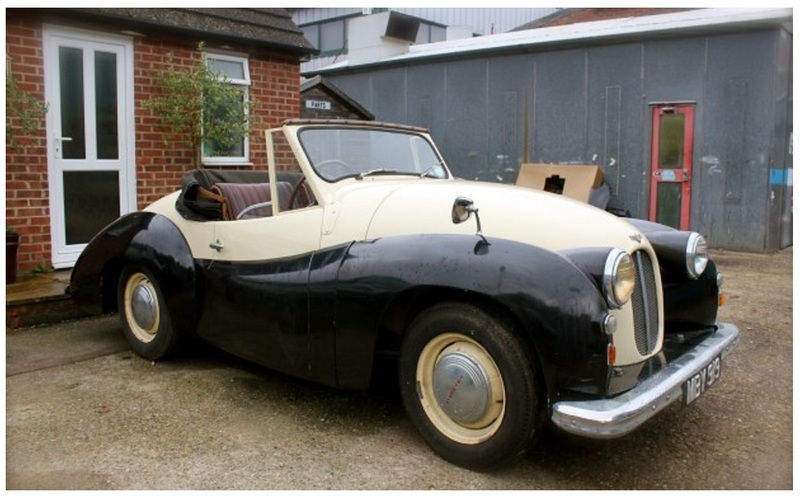 These involved over-boring the 1781cc engine from the J 14hp model to its maximum capacity of 2275cc which gave a significant increase in both power and torque – in other words an ideal engine for what any car designer likes to play around with - a 2 seater sports roadster. Vauxhall had not had anything that could be described as remotely sporting since the 1920s and in those days they were competing in a very upmarket environment totally different from what Vauxhall had been, and at the time still were making, that is efficient and popular and or family transport for the masses. Plans mentioned to continue production of the H Twelve after the launch of the L Type as a basic price leader for the Vauxhall range had already been overruled by the head of GM Overseas Operations, Ed Riley, he believed only one body was needed to keep the Vauxhall plant fully occupied until new expansion in capacity could be realised in the coming years. 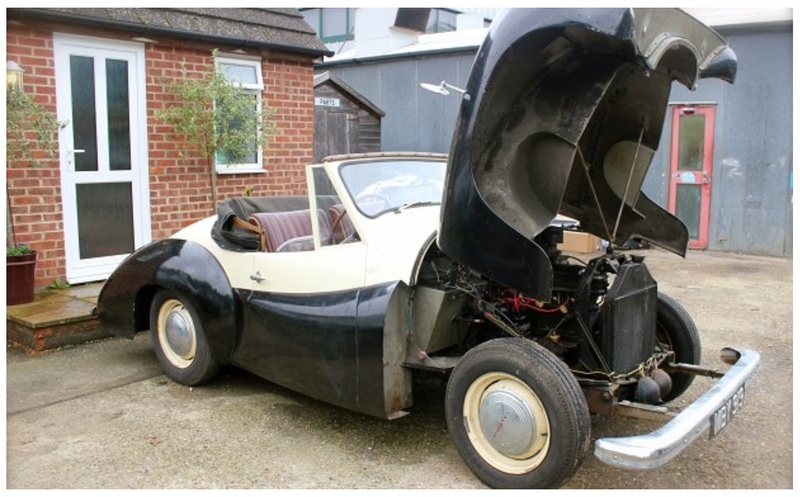 This had been the reason for offering two engines in the same body to create two distinct models in the L Type – 4 cylinder Wyvern & 6 cylinder Velox. The fortunate aspect of Vauxhalls Design Department was that at the time it was very much like David Jones personal “kingdom” and as long as the corporate projects were completed on time and were successful he was free to indulge himself in whatever he liked within reason. 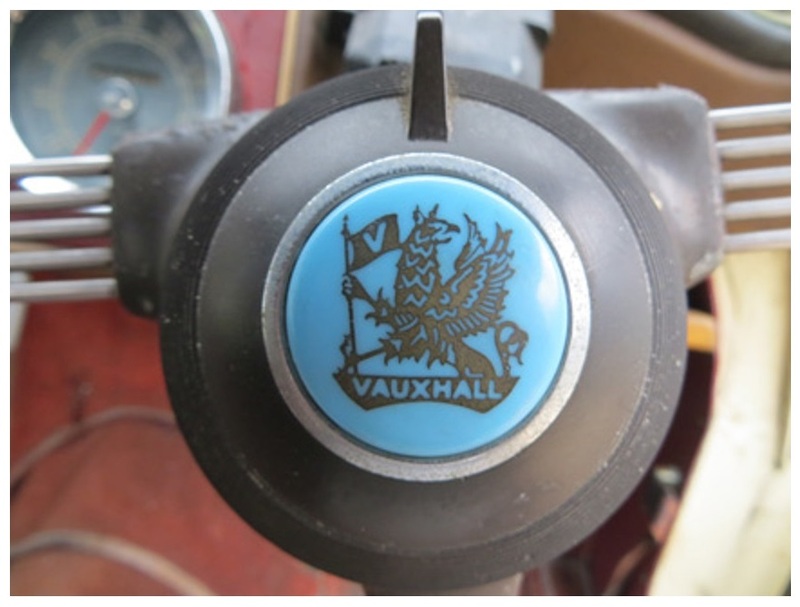 It has been noted by many at the time that his relationship with fellow senior Vauxhall Directors and department heads, including Assistant Chief Engineer Maurice Platt, were strained on a good day! The Design Department also resembled more of an art studio than somewhere that designed cars and trucks although by necessity this would change in time. 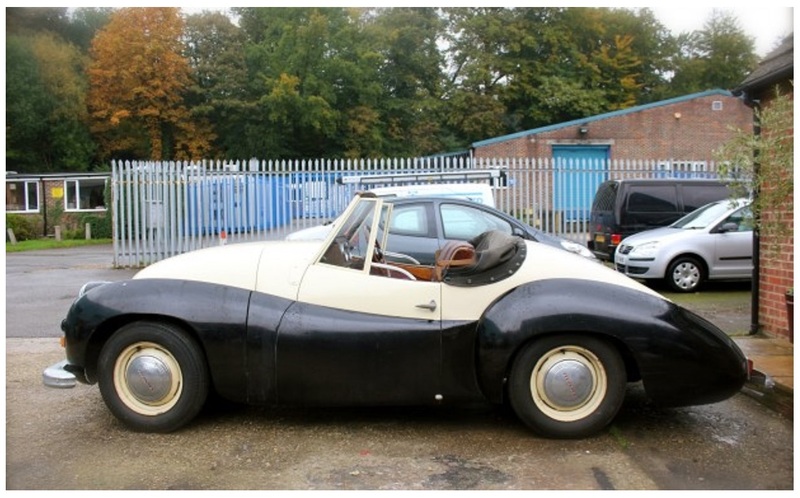 So it was against this background that Jones himself sketched out his idea for a 2 seater roadster which would use the powerful new experimental 6 cylinder engine planned for the new L Type Velox. A clay mock-up was made which was significantly different to the road going version apparently but we will never know because no pictures exist of this, only verbal testimony. The basis for the concept car was a modified J-14 as the chassis was already designed to use the engine and could be adapted much easier than the I-12 chassis or the new L Type. 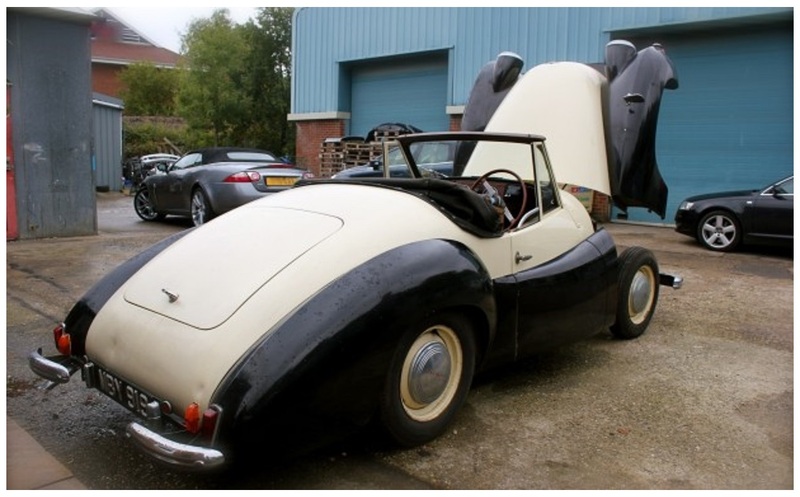 As can be seen from the pictures the much of the length of the car was taken up by the elongated boot which contrasted sharply with the upright front end which was necessary in order to cover the tall engine and radiator. 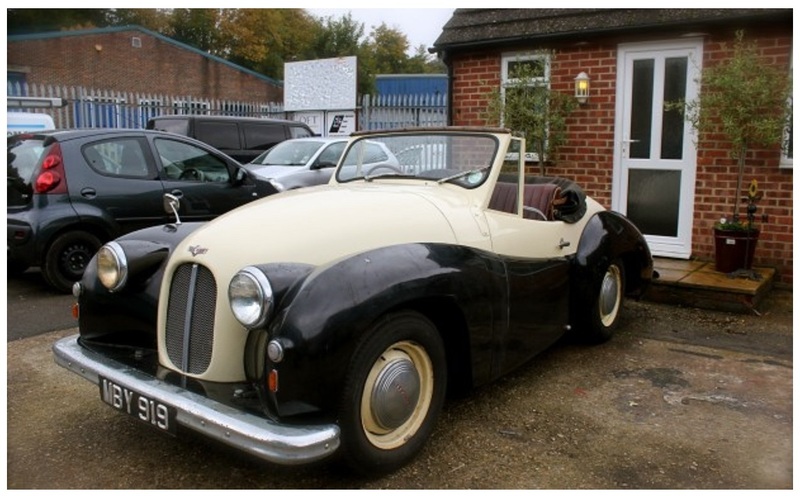 The overall style was similar to other 2 seater roadsters that would appear over the next few years from other manufacturers but the long tail was unusual and somehow the car has an almost “art deco” look about it. The front end was something of a disappointment and was quite anonymous looking apart from the larger than normal headlights but hid a unique bonnet arrangement whereby the whole front end would lift up to reveals the engine compartment. Another advanced feature were the built in indicator lights front and on the rear which was finished with two piece quarter bumpers. The hub caps are straight from the upcoming L Type. 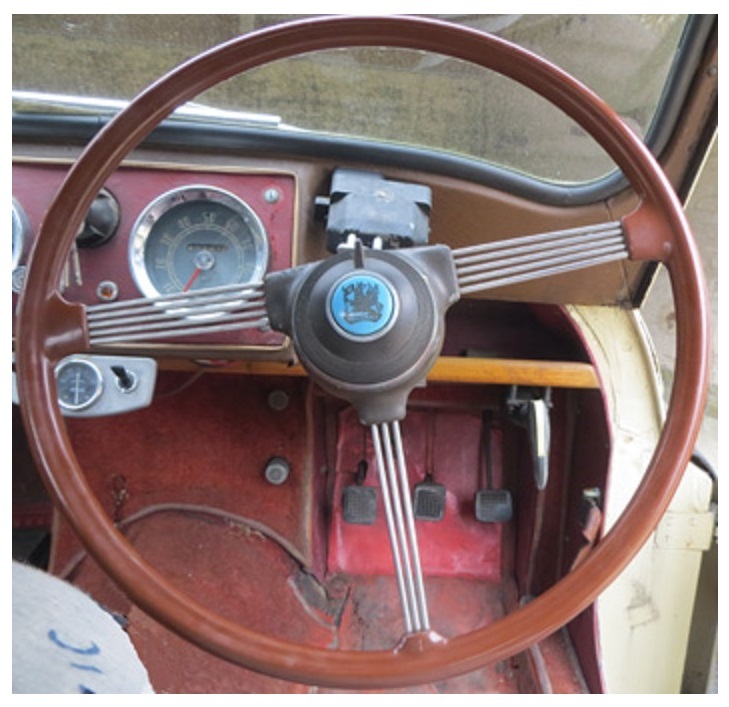 Inside the concept used a central gear lever, which would end up on the steering column on the L Type, and a dashboard, with 2 large dials with chrome surrounds, mounted to the left of the driver and a separate ammeter mounted below. 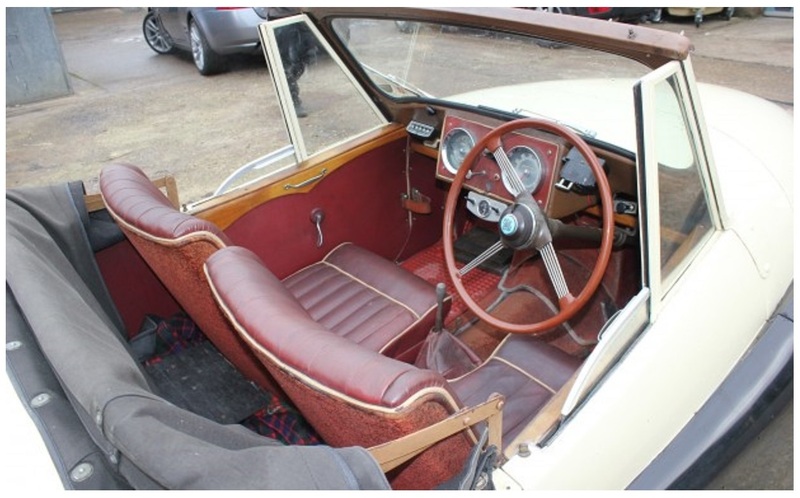 The quarter windows were fixed and the only luxury items were the leather trim and wood door capping which were obviously styled as an integral part of the car. The car, as with many open top vehicles, looks a lot better with the roof down but I would not rank it as David Jones best work. The car was shown to Vauxhall management with a view to limited production. This is not as farfetched as it sounds as prior to the WWII Vauxhall offered the 12 & 14 hp models with a choice of bodywork, either factory produced by Vauxhall or by Martin Walter of Folkestone and also Salmon & Sons, so it is conceivable that the production could have been outsourced to one of these or many other coachbuilders around at the time. Vauxhall production was out of the question. The other big stumbling blocks would have been the required continued manufacture of the modified J-14 chassis and the likely selling price which would have been well outside of Vauxhalls “normal” market range. 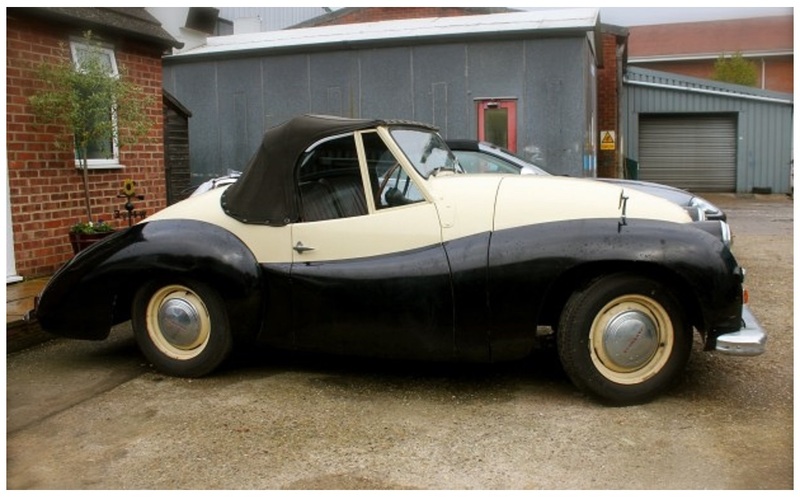 There may have been plans to show the car at the 1948 London Motor show but if there were they didn’t materialise although the following year Vauxhall did exhibit the one off Zimmerli 18-6 Velox roadster from Switzerland. 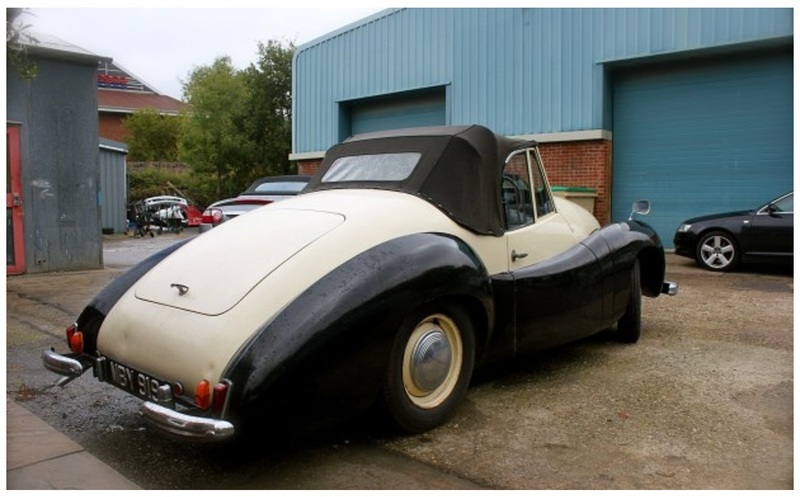 It is known that the car was used by David Jones as his personal transport for a while but I think it’s likely that the car was then taken of the road for about four years then re-registered again in March 1954 or it was left lying around the Design Department for a similar time and was first used in 1954, I think the former is more likely than the latter. 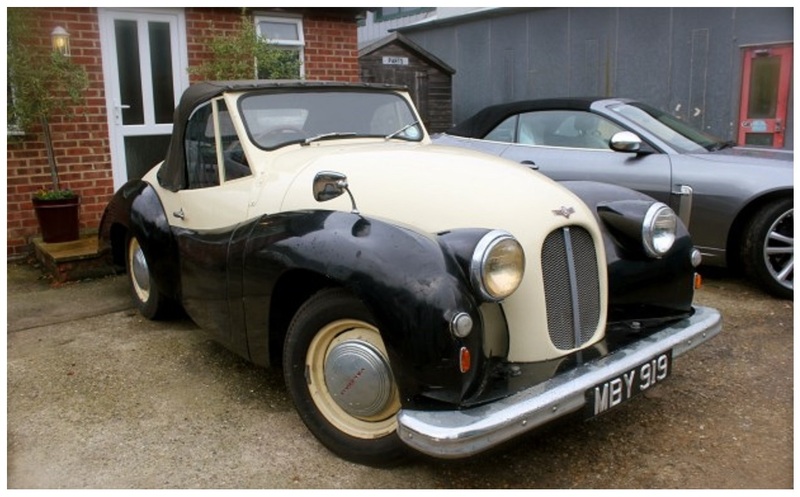 Quite how or why it managed to escape into the public domain is also a bit of a mystery but may have been sold to an employee of Vauxhall who worked in Jones team. Well if you don’t know just think of something that sounds exciting! The car uses a J-14 Chassis number and a very low engine number that is identifies it as an early L Type experimental unit. 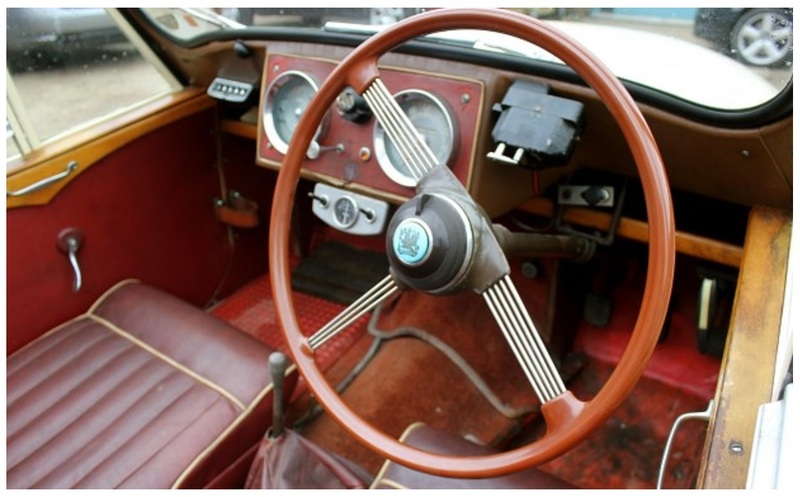 The car is still in regular use today, the only difference is the owner now knows what they have been driving around for years and the rest of us have a new Vauxhall Concept to add to the history of the company.